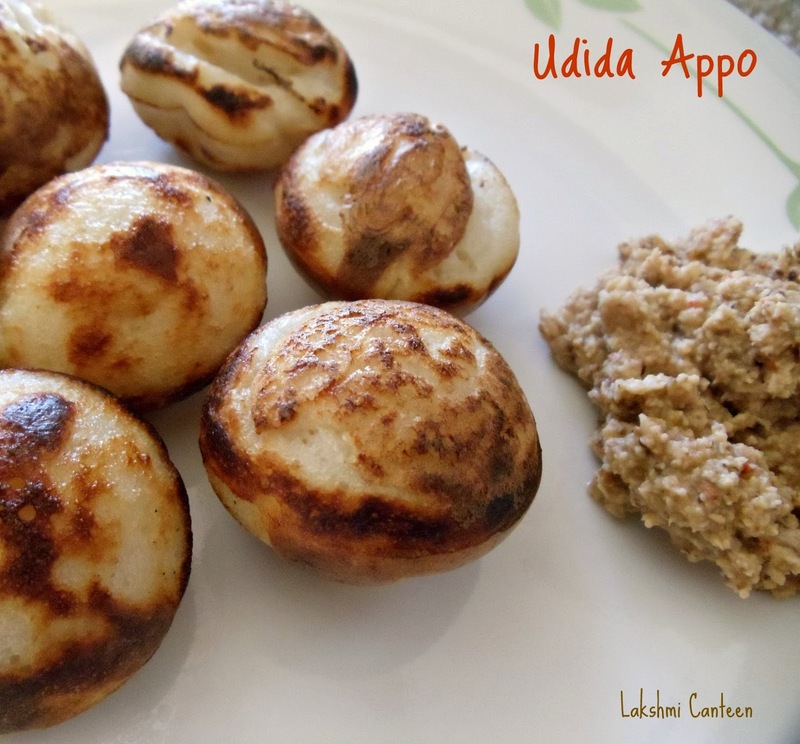 Udida Appo is one more simple and popular breakfast in South India. 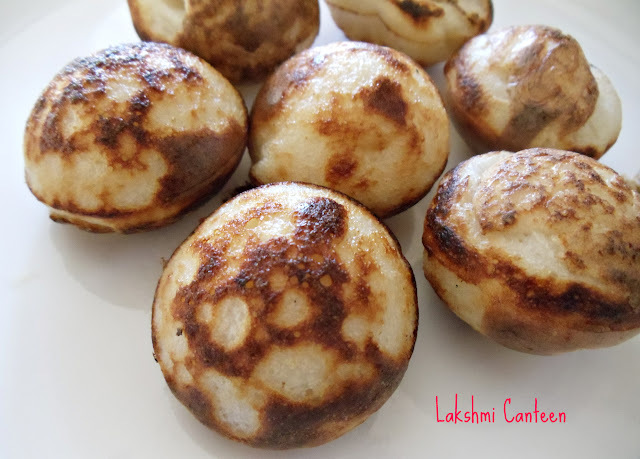 It is also popular as Paniyaram. This is also a way to finish up the dosa batter:-) I had also posted the sweet version of Appo. Check it here. Enjoy this simple dish. You can also make it more interesting, by adding veggies to the batter. 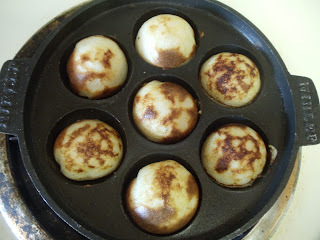 I used the left over batter of Uthappam. Soak the rice and urad dal for 2-3 hours. Grind them together along with cooked rice, to a fine consistency. Add water as required. 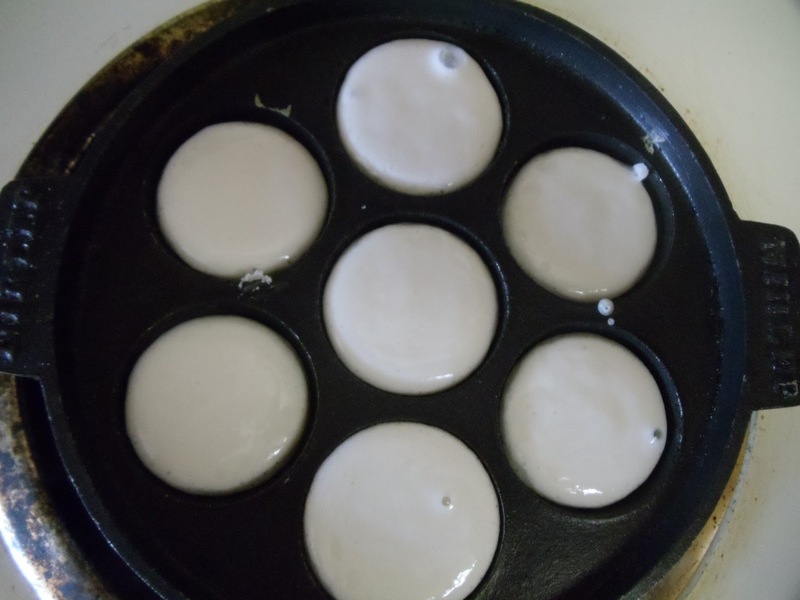 The batter should be medium thick. 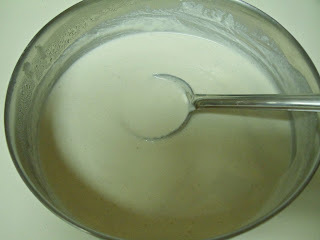 Keep this batter 8-10 hours, for fermentation. Once it is fermented add salt and mix well. Batter is ready. Let it cook covered/uncovered until it turns golden brown on bottom part. Then carefully turn them using a fork/spoon. Look at the color. I just love it (you can fry them little less than this. I like to make it golden brown). Fry the other side until you get a uniform color throughout. Remove them and serve. Udida Appo is ready!! Yes Vinita..its tastes good with home made loni..